Play your guts, wits and luck against your opponent’s twisted, bloody imagination. Can you escape the murderous ghosts? 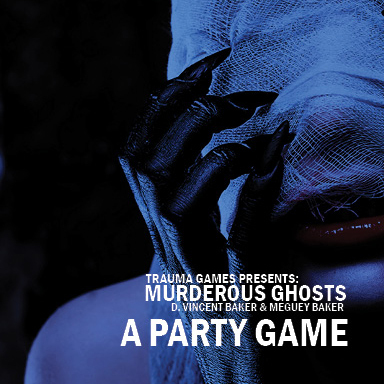 A party game for Halloween or for horror fans. For 2 or more players, ages 12+. 20-60 minutes. Downloads include versions for screen or flat printing and for zine printing. ...But times are hard! If you're dealing with economic hardship of any kind, you can use coupon code AFFORDABLE for 30% off cover price, with our best wishes.